LEGO are a staple of childhood. Kids tear into the boxes like rabid wolves rip into sheep. The innards—red and green and grey bricks, yellow heads the size of peas—spill across the floor and after bare-footed parents step on stray pieces, the hard plastic biting into a tender heel, they howl at the pain, demand the children pick up the mess. Post clean-up, some kids adhere to the instruction manuals to ensure their Millennium Falcons or their Batmobiles mirror the boxes’ images. The faint-hearted abandon construction somewhere around step fifty, but the dedicated kids spread hot glue across the bottoms of each brick to preserve a finished model’s structural integrity. Landon Casey, a 21-year-old computer engineering student at Mississippi State University, wasn’t one of these kids who treated the LEGO manual like a Bible. He recalls how he never liked following the instructions. He says, “I saw what [the LEGO] looked like, and it was going to look like that when I finished it.” So why did he need the instructions? As the co-founder of his own company—Casey Interactive (Now EM-Boards)—Landon continues to show how his knack to innovate separates himself from his peers. But not all creative endeavors succeed. Landon and his friend, Ethan Schultz, started to experiment with what Landon refers to as “logic-based toys.” Unfortunately, as the pair developed their concepts they realized that existing products were too similar to their own. Not wanting to produce something unoriginal, they abandoned the project. But Casey Interactive didn’t stop creating. Soon after he and Ethan halted the production of their logic-based toys, Landon received an invitation from his friend Isaiah Young, a former student-worker at the E-Center. Isaiah told Landon about how one of his peers in the E-Center, Calvin Waddy, had plans to create on a phone case. Calvin needed a computer engineer, so he had asked Isaiah to contact Landon about the project. Landon, who as a child would tell his parents that he “always wanted to be an inventor,” jumped at the chance to work on a new project. Although Calvin and Landon’s phone case didn’t evolve past an embryonic stage—Calvin is busy with his start-up Glaance, and Landon’s EM-Boards is finding success—their collaboration brought Landon into the E-Center. 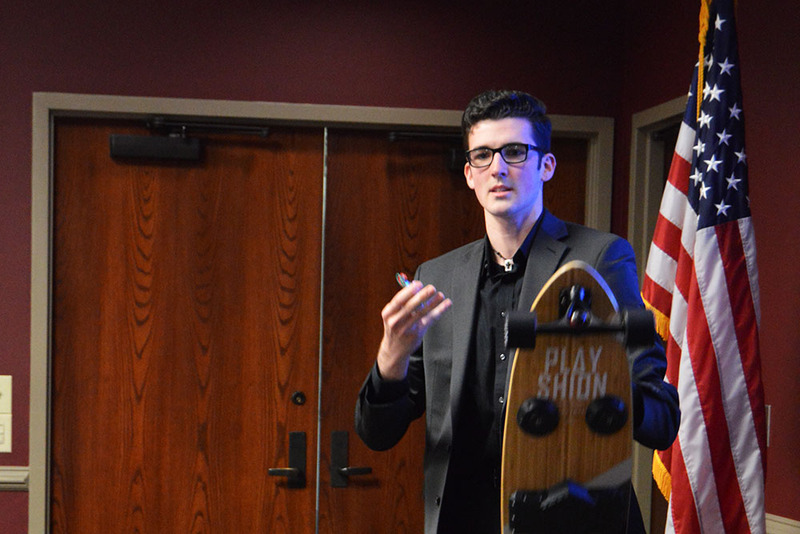 With the knowledge of the E-Center’s resources, Landon and Brennan Bell, his friend and current business partner, finally saw an opportunity to develop their concept for a longboard. The two had been discussing a project that would fuse Landon’s innovative computer engineering perspective with Brennan’s mechanical engineering and longboarding skills; they’d have Ethan handle the graphic design work and the company’s marketing. The team got to work on a prototype of a longboard designed to keep riders attached to their longboards. Landon has since refined the initial iterations, and the current prototype consists of two electromagnets installed onto the bottom of a longboard’s deck. Each magnet exerts a force of approximately one hundred and fifty pounds; Landon says that such a force is “so strong that if there’s a metal beam above me I could hang from it.” This allows riders to secure themselves to their boards without the use of bindings or straps, a mechanism avoided by the team because they’ve “seen too many videos where [the rider falls] but the board stays attached to their feet.” Using EM-Board’s system, riders can hop over obstacles—like bumps and cracks in the road—and, if need be, they can click a remote control that kills the electromagnets’ power, effectively detaching a rider from his or her board. The explanation of the technology that allows a rider to remain strapped onto a longboard without the assistance of traditional bindings or clamps is enough to induce a headache for the scientifically ignorant, but the goal of the project is simple: to provide riders of all skill levels with a smooth, secure, fun longboarding experience at an affordable price. Before riders glide atop EM-Board’s boards, Landon and his team have some work to do. He says the current issue with their system is finding a way to make the shoe attachments comfortable and practical, but he’s confident the team is close to solving this lone, lingering issue. Once the prototype reaches a marketable iteration in the summer of 2018, EM-Boards will send its longboards to at least fifty riders, all of who will provide feedback.  After this trial period, EM-Boards will continue development, and the goal is to allow consumers to pre-purchase the binding system around the time Landon graduates from Mississippi State University in the spring of 2019. Like many students who enter the E-Center, Landon finds inspiration within the glass walls graffitied with his fellow entrepreneurs’ ideas, and he admits that without the E-Center’s involvement, he never would have been able to evolve from improvising with LEGO to innovating the longboard industry. Learn more about EM Board online at http://www.getemboards.com.